Using the DECIDE model should become the automatic response when something doesn't seem right. Applying the DECIDE model before an accident can be useful in preventing it! However, most pilots normally do not want to acknowledge that something might be amiss. Your choice is to apply it before the accident happens or the rest of us will apply it as a case study of your accident. Most preventable accidents have one common factor: human error, rather than a mechanical malfunction. The inability to recognize and cope with changes in the situation different from those anticipated or planned. Clouds the vision and impairs judgment by causing a fixation on the original goal or destination combined with a total disregard for any alternative course of action. Tendency to sneak a peek by descending below minimums during an approach. Based on a belief that there is a built in “fudge” factor or an unwillingness to admit defeat and shoot a missed approach. Continuing VFR into IFR conditions often leads to spatial disorientation or collision with ground/obstacles. It is even more dangerous when not instrument rated or current. Allowing events or the situation to control your actions rather than the other way around. Loss of situational awareness which results in not knowing where you are, an inability to recognize deteriorating circumstances, and the misjudgment of the rate of deterioration. Ignoring minimum fuel reserve requirements, either VFR or IFR, is generally the result of overconfidence, lack of flight planning, or ignoring the regulations. Unjustified reliance on the (usually mistaken) belief that the airplanes high performance capability meets the demands imposed by the pilot's (usually overestimated) flying skills. Unjustified reliance on the pilot's short and long term memory, regular flying skills, repetitive and familiar routes, etc. Flight while under the influence of alcohol or drugs is a never. Flight with a known medical deficiency is never expedient or legal (FAR 61.53). Flight outside the certified envelope is never safe. Flight with less than the required minimum fuel is never reasonable. VFR flight into instrument meteorological conditions is never justified. Descent below the applicable minimum enroute altitude is never justified. Casual neglect of any applicable checklist is never justified. Aircraft accident statistics show that pilots should be conducting preflight checklists on themselves as well as on their aircraft. Medication. Prescription or OTC drugs? Stress. Psychological, money, health, family? Alcohol. Within 8 hours? Within 24 hours? Eating. Enough proper foods for nourishment? 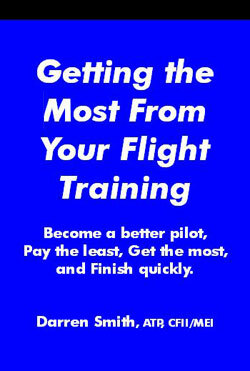 How to be a safe pilot? Follow the rules. Existing procedures, practices and regulations go a long way to mitigate accident statistics. Resolving hazardous attitudes before they result in hazardous behaviours.